With a blistering soundtrack careering from Kylie to Nick Cave, we attempt to understand what it is about dance that makes us feel most alive. 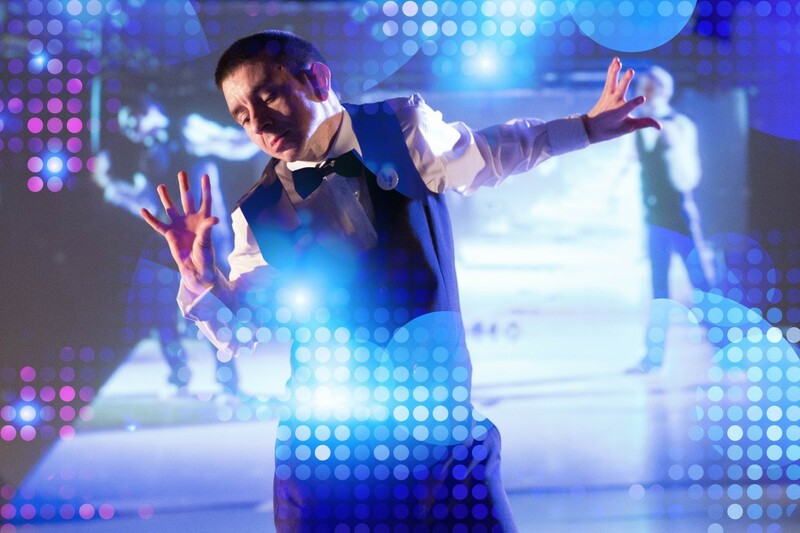 Join Ian Johnson - Scotland’s leading learning-disabled artist - and Gary Gardiner as they hit the floor in this delicate, dapper and downright hilarious exploration into what it really means to be a 'dancer'. Expect outrageously camp jerks and thrusts… and complete stillness. Dancer was originally co-created by the late Adrian Howells. This updated version was an Unlimited commission in 2014 and played to sold out audiences in London, Birmingham, Cardiff and Edinburgh. 21Common is a collective that actively embraces the notion of art as a deep dialogical process of exploration between artists, participants and audiences.